NES games I need to review? Re: NES games I need to review? I'd love to see reviews of some of the SSI games that were on NES, particularly AD&D Pool of Radiance. I'd like to see you review John Elway Football had this game when I was a kid and I vote it as the absolute worst Football game of the entier 8 bit era. MoarRipter wrote: I'd love to see reviews of some of the SSI games that were on NES, particularly AD&D Pool of Radiance. One problem is that these games, like Hillsfar in particular, seem to have been notably diminished when ported from their original computers over to the NES. They also came late to the NES, and its a minor shame they weren't just brought to the Genesis or SNES instead. These might be better enjoyed buying the DOS versions on GOG now. If I recall, the interesting thing is that these three NES AD&D games (Pool of Radiance, Hillsfar, and Heroes of the Lance) are notably different from one another. 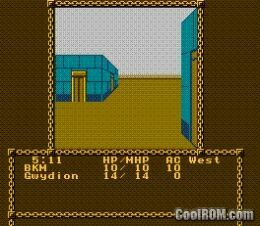 The only Gold Box engine game I've sort of played on the computer is Buck Rogers: Matrix Cubed but Pool of Radiance on the NES seems awfully similar to how the Gold Box games play on computer. For a PC port I was impressed at how little they had to tone it down for console. It's not arcade-like at all. Its been a long time since I played these. Have you played them recently yourself? scotland wrote: Its been a long time since I played these. Have you played them recently yourself? I haven't played the computer versions but my friend and I were playing Pool of Radiance for nearly an hour a couple of weeks ago on a retro game night, just checking it out among other games. We thought it was pretty cool going through the character creation and walking around the town, stopped into the tavern listening to people gossip about dragons, buying gear and weapons to outfit our characters, etc. Then we left the town and almost immediately encountered a group of level 6 guards that proceeded to slaughter our entire party in the isometric battle view. We hadn't saved beforehand so that was a loss of all of our setup work but we both thought it was pretty fun. I want to get back into playing it. It's essentially a rip-off of Pictionary. You could probably complete a review with your thoughts on the game in one play-through. Since the VGC just reviewed Twin Cobra for the Genesis, maybe he should try out the NES version. One of the better vertical-scrolling shooters for the system, IMO. Galaxy 5000 is a longtime favorite of mine. It's a hovercraft racing game released the same year as F-Zero (a few months before that game's American release, actually) but much closer to Wipeout and Super Mario Kart, and there's even a tiny bit of Gran Turismo in how you buy new vehicles to stay competitive. It has some really distinctive quirks, too; the hovercrafts can hop over gaps or ledges and steer with two different control schemes, and the short but tangled courses are peppered with destructible hazards like crystal spikes and gun turrets. Each planet in the solar system has a tournament, and things get pretty hectic after the first two. The graphics and sound aren't much for 1991 (although there's a fair amount of cute sampled speech), but the racing is a blast. Based on the reviews for other NES racing games like Micro Machines and R.C. Pro-Am, I think that this one will go over very well.